POLICE stainless steel collection. 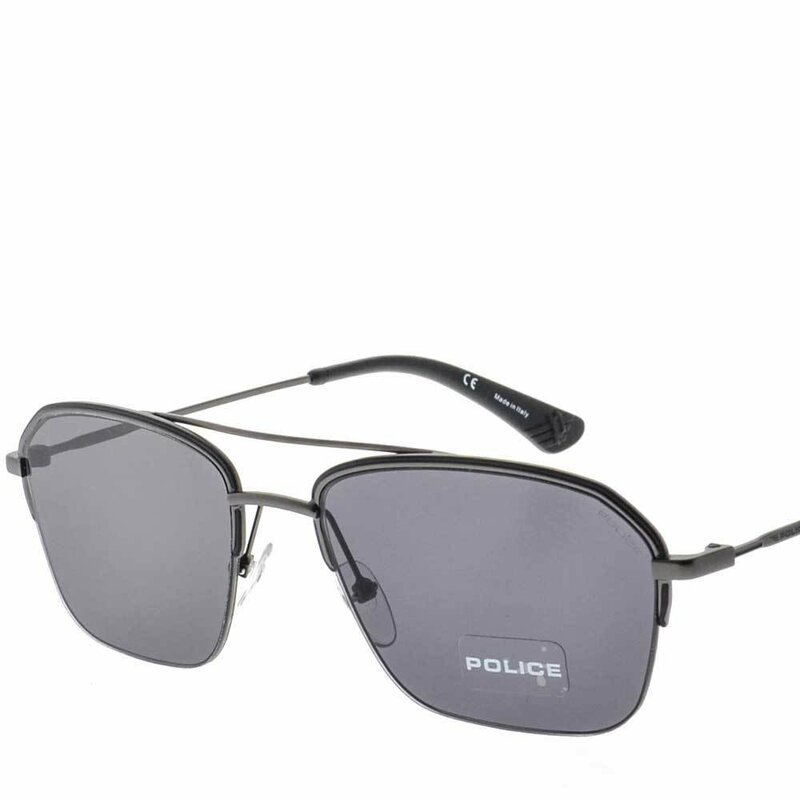 Rectangle sunglasses for men. Black with gun frame, black lenses. Black with gunmetal temples. 100 % uv protection cr39 lenses.